There was a time when pennants weren't decided in a best-of-7 game series. Or best-of-5, either. Teams used to win their league's pennant in a winner-take-all best of 162 game series known as "having the best record in your league". * Of course, this is also when there were only 20 teams in baseball. With the advent of divisional play in baseball, the game forever changed with the expansion of the playoffs to include 4 teams (and eventually to today's number of 10 teams). *until divisional play, the AL had seen only one playoff series in 1948. There was also a time when the New York Yankees seemed to be the only team to win the American League pennant. From 1949 to 1964, the New York Yankees were AL Champions all but twice ( '54 Indians, '59 ChiSox). Much like the Iron Curtain, this too did pass. 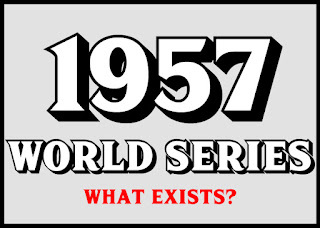 When it did, with the Twins representing the American League in 1965, we saw a different team win the pennant each year from 1965 until the creation of divisions in 1969. What we also have is a bit of a serendipitous collection of the final outs (or seconds after) of the final 4 American League pennants before divisional play in 1965, '66, '67 and '68. More about each after the jump. Happy Opening Day 2018! Much of the league saw their games played under gray skies (or even postponed) but hopefully this classic color footage will brighten your day! That's exactly what we get. 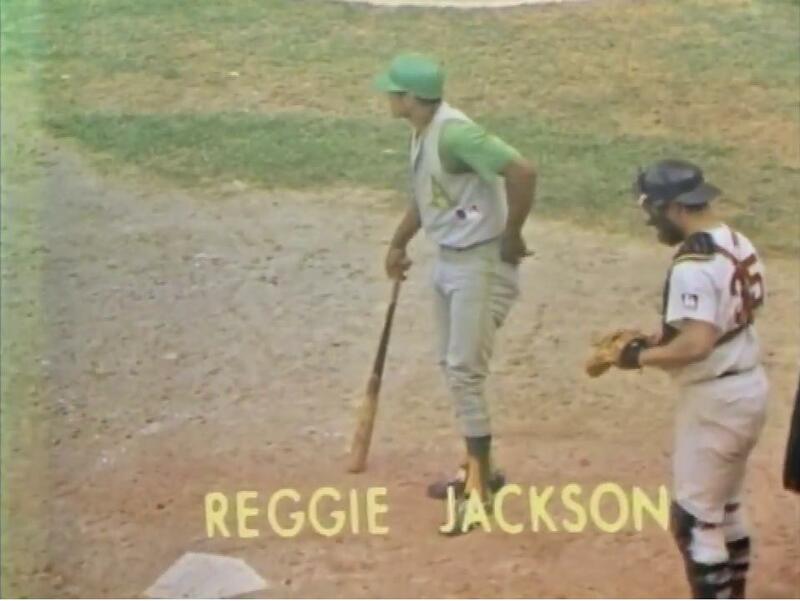 Reggie Jackson, in the beautiful sleeveless A's uniforms, takes Sonny Siebert deep into the Fenway bullpen for his 23rd home run of the 1969 season. This game was broadcast on WHDH-TV and we have Ken Coleman on the wet-blanket call. What makes this clip so particularly interesting is where it came from and what it represents. This footage comes from the New England Museum of Sports. We've talked about footage from the Sports Museum before. There is an extensive cache of clips and highlights that survived from when WHDH lost their license. Up until now, it was not known whether MLB was in possession of all of this. This clip makes it clear they do have it. Which brings me to the most important point: this June 15, 1969 game survives as a pretty extensive partial. Roughly 2 hours and 7 minutes of this game, in beautiful color, has been saved. Sans for part of the top of the 3rd inning, the game is complete into the top of the 8th inning. This is a pretty sizeable partial color broadcast, which seems to be missing the final reel/tape of the game. With this game having been in trading circles for years now, you're left with less hope that the final reel/tape will ever be found. The full radio broadcast of this June game can be purchased on-line, which would allow fans to finish the game should this ever be offered through and official vendor. Still, complete or not, this is one of those amazing finds that is the whole reason those of us that are always on the look for stuff continue to search! The 1964 All-Star Game is considered one of the most exciting games in the classic’s history. Only 3 of the 9 innings didn’t feature scoring. The game featured two solo homeruns by Ken Boyer and Billy Williams in the 4th. The National League would come from behind to win on a 3-run walk off homerun by Johnny Callison. Unfortunately, we don’t see any of that. After the jump, we will discuss this recent offering of yet another 1960’s All-Star Game. Editor's Note: 'Check the Webbing' will be short posts about broadcast clips found on the Web. These types of clips either do not need extensive explanation or research, or are updates to posts already written. 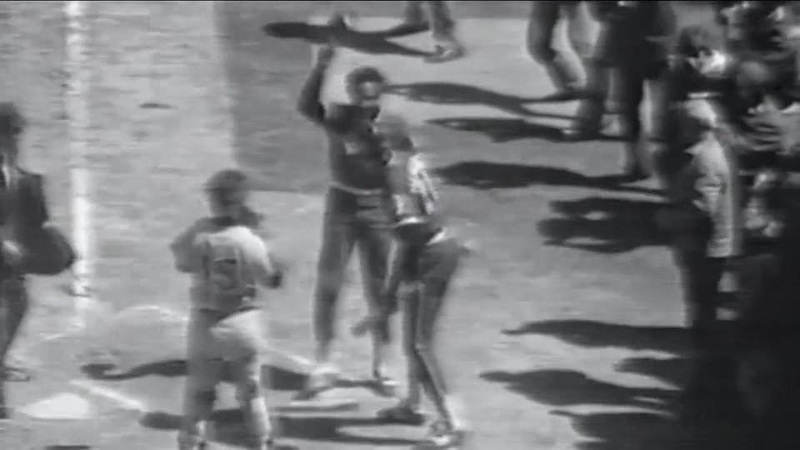 Billy Williams Day, a doubleheader from June 29, 1969, is a topic that has been discussed on numerous occasions. Three years ago, we saw a brief clip of the final out of Game 1 from that double header at Wrigley. Our original post back in 2012 focused on color video tape footage from the 8th inning of that first game. The clip seen here is of Ernie Banks driving in the 1st run of the game with an RBI single up the middle. 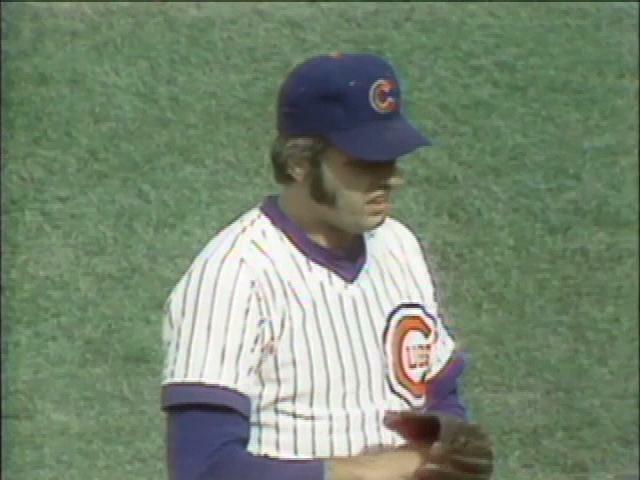 This clip, as well as the other Gibson shots, come from Revisiting the 1969 Cubs , a WGN produced clip that (judging by onscreen graphics) was put together in the 1990's. On January 31, 2017, MLB.com uploaded an extended video clip of Banks' single off of Gibson in the 8th inning. This clip can be found on their YouTube channel. 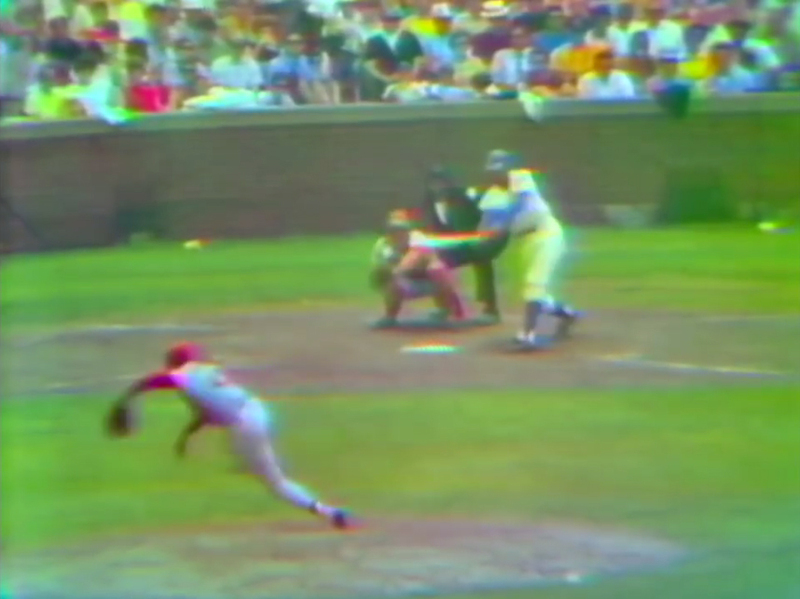 The footage is color videotape and is complete with the Jack Brickhouse call. Without speaking to MLB, the source of this clip most likely comes from the WGN highlight reels that were compiled throughout the season. Many of these survived from the late 60's and early 70's. They often times represent the only broadcast footage that remains from WGN. Nearly 10 years have passed since we first wrote about the surviving kinescopes from the 1957 World Series. At that time, only 2 of the games were commercially available by Rare Sports Films and neither of those games were complete. We also knew that Rare Sports Films had publicly shown at least two other games. It was rumored more existed beyond those four and as the years passed by, those games began to trickle out. First, it was a partial of Game 5 in 2013 and then, a complete sign-on to sign-off version of Game 1 was released two years ago. 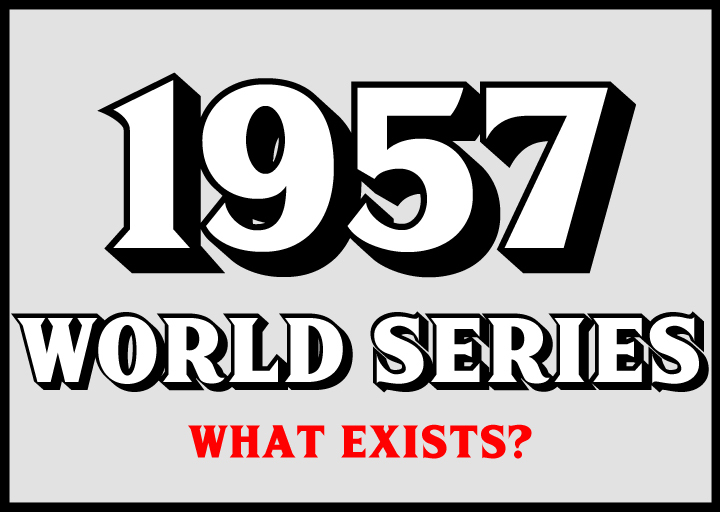 Now, as the 60th anniversary of this historic World Series is upon us, Rare Sports Films has released yet another game. So where do we stand? It has taken 10 years (or 60 depending on how you look at it) but we are on the cusp of having a near complete series. We now know that Rare Sports has 4 of these games in complete form, one game missing a single at-bat and two partial broadcasts. After the jump, we will combine all the information we have to give the most complete view of the series to date. July 10, 1962. On the same day that the NBA agreed to let George Steinbrenner’s ABL Cleveland Pipers join as an expansion team, Major League Baseball played the first of two Midsummer Classics. It would be the final year that the two leagues would play more than one All-Star exhibition game. For the past 3 years, the Players Association had used the two All-Star games to help support the players’ pension fund. The American League had argued that they would no longer participate in two exhibitions during the previous winter; however the two leagues came to an agreement to go ahead with both contests in 1962. These long lost kinescope reels (which constitute the most complete All-Star Game broadcast prior to 1965) give us a glimpse into Midsummer Classic that features a sitting President, an All-Star Game legend, an exciting game and a rare glimpse into a classic stadium. The 399th Homerun for 'The Duke of ... Coogan's Bluff'? It is jarring. You don't expect it. You're watching the ball jump off the bat and your brain is conditioned to think it is a routine flyball. As the camera pans to the right, it just appears. The right field stands at the Polo Grounds. That is where Duke Snider's 399th career homerun landed in an unearthed video clip from MLB.com. This isn't the only homerun we've ever seen in the Polo Grounds, however (to my knowledge) it is the only broadcast footage of a homerun in the iconic stadium. The Polo Grounds was the home of the New York Yankees until 1922, the Giants until 1957 and the Mets for the 1962 and 1963 seasons. 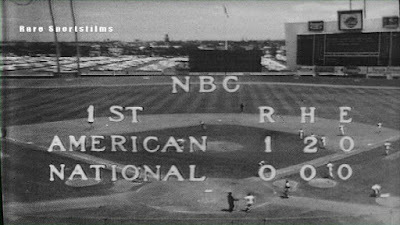 The ballpark hosted two All-Star games, neither televised and the 1951 and 1954 World Series, both of which were televised but no broadcast material survives. 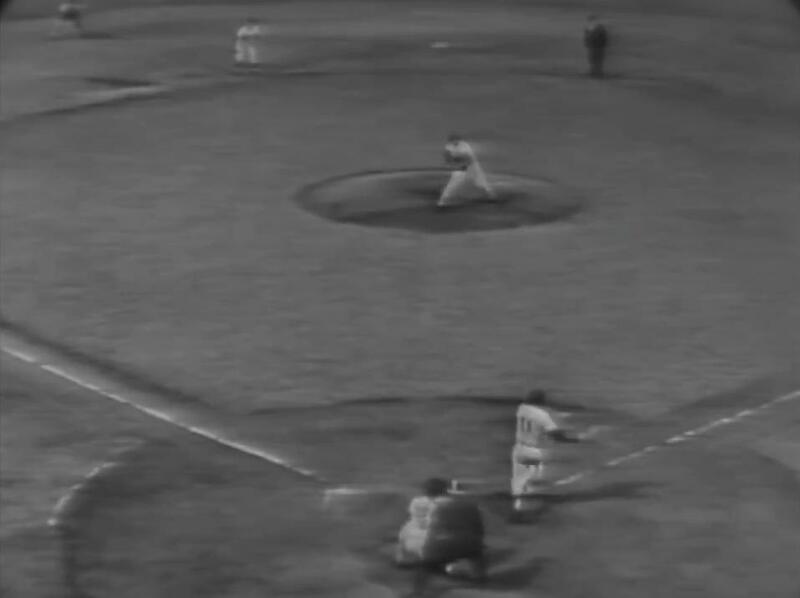 Probably the most famous game ever played at The Grounds was Game 3 of the 1951 NL Playoff. 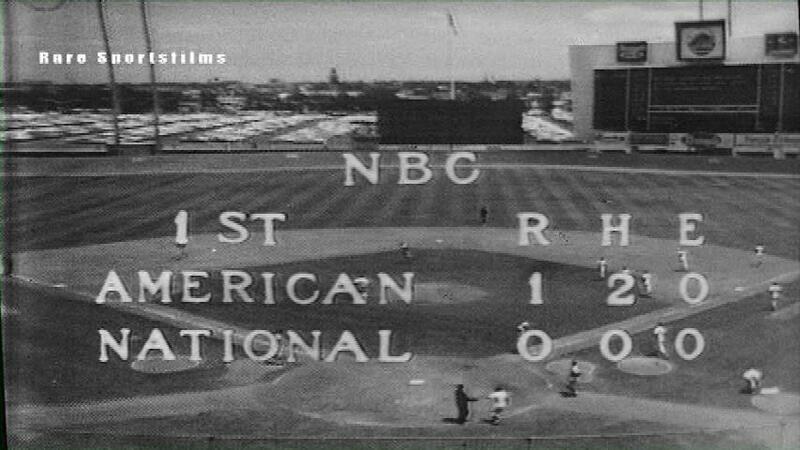 Despite the WPIX broadcast being transmitted coast-to-coast by NBC, no broadcast footage from this game survives either. After the jump, we will talk about the game, the call and the true star of the clip: the ballpark. 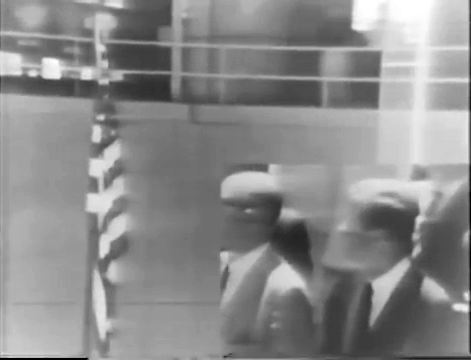 *This post is part of an on-going series cataloging surviving broadcast footage from 1972. Milt Pappas' no-hitter/near perfect game stood as a rare feat in two ways for nearly 43 years. In 1972, Pappas became the first pitcher since 1908 to lose a perfect game bid on the 27th batter without giving up a hit. Not since Hooks Wiltse's HBP in 1908 had a free base been issued to the 27th batter. The walk by Pappas would be the last of its kind until June 2015, when Max Scherzer's perfect game bid was spoiled with 26 outs by Jose Tabata's elbow pad. Even with that inglorious drought ended, Pappas still held the distinction of throwing the most recent no-hitter in the 'friendly confines' of Wrigley Field. That feat now belongs to left hander, Cole Hamels, who no-hit the Cubs on July 25, 2015. For Pappas, his day in the sun was near the end of a long, weird career. This eventful no-hitter was one of the final chapters in a career of prominent lowlights (being on the wrong lopsided end of the Frank Robinson to Baltimore trade/admitting to giving up Roger Maris' 59th homerun out of spite towards Ford Frick) and highlights (striking out the side on only 9 pitches). The memorable 9th inning and more, after the jump. The longer I stay with this hobby, the more and more I learn. When I originally wrote about Stan Musial's final at-bat, I was left perplexed at the combination of two video pieces into one elongated clip. "How this game was broadcast is a bit of a mystery. Having the Dizzy Dean clips at the beginning are what is most perplexing. In 1963, he was working games for CBS in their Game of the Week broadcasts. On Saturday, the GOTW on CBS was Minnesota vs Yankees at Yankee Stadium with Dizzy Dean and Pee Wee Reese as per various television listings of the day. CBS did not have a GOTW on Sunday (although NBC did with Senators vs White Sox) instead showing NFL Football. So Dean would have had the opportunity to get to St. Louis for the game." After the jump, I will talk about some archival footage I stumbled upon over the weekend that helped explain where that clip of Dizzy Dean came from and when it aired. On April 8, 1975, Frank Robinson broke the managing color barrier in Major League Baseball. For the first time in league history, the Cleveland Indians were managed by an African American. Thanks to MLBNetwork and their new morning chatfest 'MLB Central', we are treated to a videotaped view of that historic afternoon.